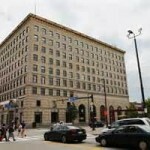 Helping cities across Ohio go from vacancy to vitality. Ohio cities were ravaged by the foreclosure crisis. Statewide, the presence of as many as 100,000 vacant and abandoned homes drove down neighborhood property values and became magnets for criminal activity. 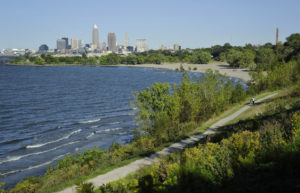 Our communities needed help, and Western Reserve Land Conservancy stepped up. 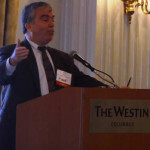 In March 2011, the Land Conservancy launched Thriving Communities Institute (now Thriving Communities), a statewide effort to help revitalize our urban centers, and named nationally known expert Jim Rokakis as its director. Today, our Thriving Communities program is working with cities and organizations throughout Ohio to transform vacant, unsafe and unproductive properties into useful ones. In the process, communities are finding new opportunities to attract economic growth, add green space and support safe, beautiful neighborhoods. Our cities have thrived in the past. We believe they will thrive again in the future. While the initial focus of Thriving Communities was to establish and support county land banks, this program now includes conducting property surveys, planting trees, securing funding for demolition and greening and doing cutting-edge research. Thriving Communities has become the go-to program in Ohio for counties wanting to form a land bank, which is technically called a county land reutilization corporation. Land banks are an essential tool for stabilizing our fragile cities. They give our counties the much-needed ability to quickly acquire a distressed property, safely hold it, clean its title and prepare it for a better day. The goal is to secure vacant properties — which would otherwise attract crime, lower neighboring home values and incur public services costs — so they can be put to better use in the future. County land banks are powerful tools in the fight against blight. The need in Ohio is great. Our Thriving Communities team has led efforts to secure demolition funds for communities through its strategic partnerships with federal, state and local officials and other community leaders. In keeping with our traditional mission, the Land Conservancy’s Thriving Communities program works with property owners to permanently preserve valuable natural areas in our urban environments. We work with cities, suburbs and park systems to create trails, greenways and parks that serve people in more densely populated areas. Using our GIS and planning expertise, we work with cities and neighborhood groups to survey all parcels in a given community, giving leaders the information they need to make important planning decisions. 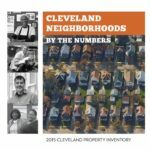 We are working with our partners, including other nonprofits, municipal officials, community development corporations and residents, to restore Cleveland’s depleted tree canopy. This program includes extensive Tree Steward Training for residents and a grant program for groups looking to plant trees in their neighborhood. We believe this tree-planting and maintenance program can become a model for other Ohio cities. Studies done by our staff and contracted researchers have prompted policy changes at the federal, state and local levels, including a decision by the U.S. Department of Treasury to free up monies from the Hardest Hit Funds for demolition. In addition, the Vacant and Abandoned Properties Action Council (VAPAC) — the only collaborative effort of its type in the country — is based at Thriving Communities Institute.